It's been well over a decade since Macs have been able to run Windows. Ever since, Parallels has been one of the top options for running Microsoft's OS alongside macOS. 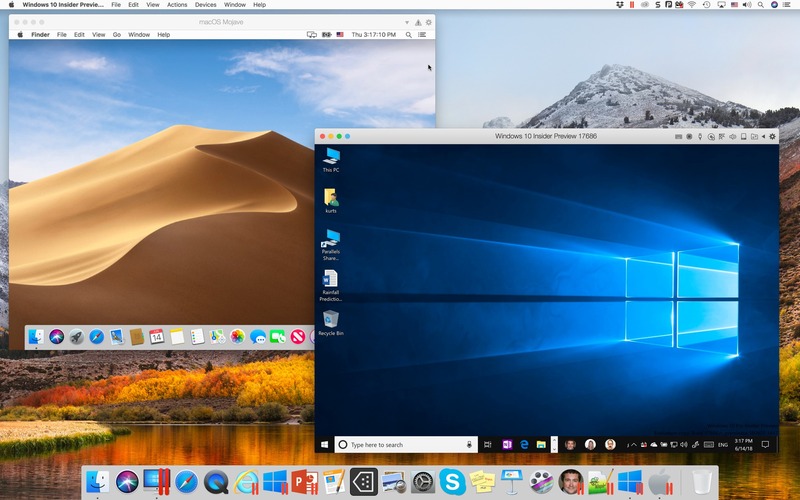 With the big Mojave update just around the corner, Parallels today is releasing version 14 of its virtualization software. The company says that today's update, which you can download now, launches four times faster than the previous version and is ready for macOS Mojave. Perhaps even more notable is that Parallels' usage of storage has been significantly optimized. The company says that each virtualized Windows machine could use up to 20GB less disk space. That's particularly notable for larger organizations that are deploying lots of virtual Windows machines through Parallels. At the same time, performance has increased in a variety of areas, including application launch time and boot time, as well as many other more specific measures. For example, Parallels says suspending operations on disk partitions using Apple File System are up to 30 percent faster. Great! Seriously though, there are a number of performance improvements across the board, and if you're using Apple's mighty iMac Pro, you might notice some serious benefits. The company says that users could see up to 200 percent faster performance for things like audio / video encoding, AI, 3D modeling, cryptography and "other complex math calculations workloads." If you're an existing Parallels user who purchased versions 12 or 13, you can upgrade to today's release for $50, while new customers can either sign up for a $80 / year subscription or purchase the software outright for $100. All of those options include access to the Parallels Toolbox, a collection of "single-click" utilities to make working between Windows and macOS easier. Among the new tools are a screenshot tool that'll take a picture of the entire length of a webpage, even if it doesn't fit on your screen. There's also a batch image resizing tool included, and a RAM manager for when the virtualization software is getting too memory-hungry. Just don't forget that to use Parallels, you'll need a valid Windows license too.